Call 1-425-591-7612 to buy now! The Apex is the Ultimate Baseball Soft-toss machine. 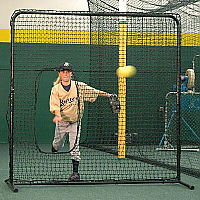 Soft-Toss training offers an accelerated and dynamic system for professional athletes, coaches and youth players. Whether you use it on the field or in your backyard, you’ll soon see why the APEX Soft-Toss/Tee System for Baseball and Softball is changing the game. Also comes with a Hitting Tee. Baden 12 inch Wiffle Softballs 3 dozen to a case and incredibly durable. 4 Dozen Baden 9 inch Whiffle wiffle balls with Mesh Carrying Bag. The Baden Wiffle or Whiffle ball is the most durable wiffle ball we have ever used. They just do not break. Small Compact and Accurate. Radar works great with the Ultimate Pitching Machine to make sure pitch is at correct speed settings. ThrowMAX helps correct most of the throwing flaws. If throwing mechanics is an issue then ThrowMAX is the answer! If you would like to teach young player to throw a ball correctly, use a ThrowMAX. 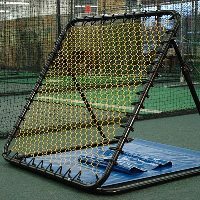 It is tried and tested and helped thousands of player throw correctly and enjoy the game of baseball and softball. 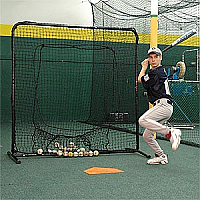 Louisville Slugger Instructoswing batting tees were developed to help batters of all ages and skill levels practice and learn how to swing a bat correctly so as to produce line drives, hard ground balls, and fly balls that carry.